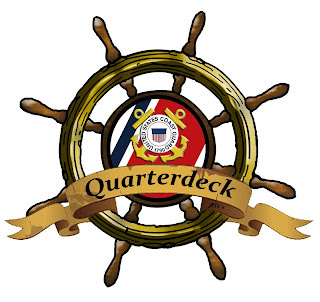 Welcome to episode 13 of The Quarterdeck, the Amver podcast! If you've ever wondered about the Amver/SEAS software, how it's installed, or how it is used, this is the podcast for you. Take a listen as Paula Rychtar and Jim Luciani describe the World Meteorological Voluntary Observation Ships Scheme and how Amver/SEAS information is used. Who enrolled in Amver this week? Take a look! Another 25 ships have agreed to assist in maritime emergencies, ensuring no call for help goes unanswered. Thank you! Is your ship listed below? 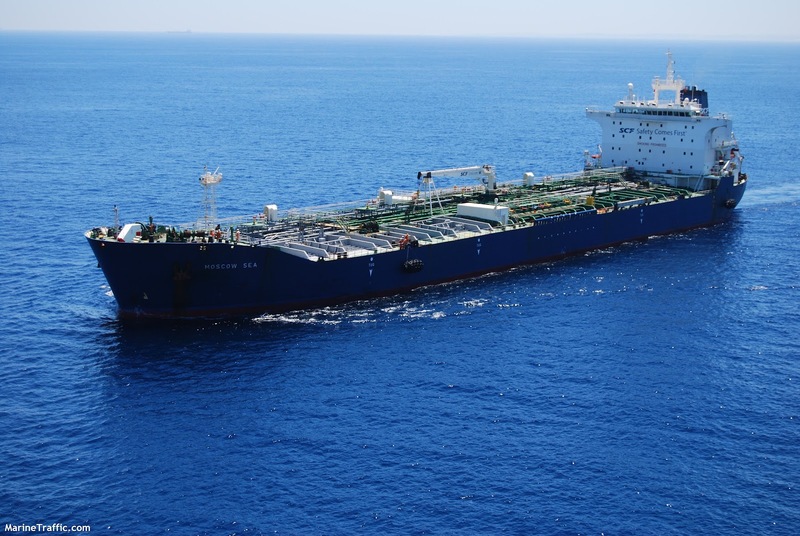 Bravo Zulu to Captain Barakas and the crew of the Greek Diana Shipping managed bulker Semirio, for a job well done in this week's recent rescue of several fishermen. The other day we reported 10 fishermen were rescued, the correct number is nine. The Semirio is a Marshall Island flagged vessel. Thanks to the Navy aircraft and our partners at U.S. Coast Guard Sector Guam for helping coordinate this case. Here are some photos of the rescue operation showing just how dangerous the situation was for the fishermen 700 miles from land. Ten fishermen were rescued by the Amver participating cargo ship Semirio on Saturday April 21, 2012 700 miles west of Guam after their boat caught fire and they were forced to abandon ship. The 70 foot Taiwanese fishing boat Hsin Man Chun alerted the U.S. Coast Guard with their Emergency Position Indicating Radio Beacon (EPIRB) while their sister ship called rescue authorities in Taipei, China to alert them the vessel was on fire. A Navy P-3 Orion long-range search aircraft from Patrol Squadron 1 stationed at Kadena Air Base, Japan, overflew the vessel and reported eight crewmembers in a life raft and two more on the bridge of the burning vessel. The P-3 crew deployed two life rafts to assist the crew members that remained behind. The Marshall Island flagged ship was only 40 miles away from the distress location when it was alerted by the U.S. Coast Guard of the situation and diverted to assist. Once on scene, the 950-foot bulk carrier launched a small boat and successfully rescued all 10 crew members. The Semirio is one of over 20,000 vessels enrolled in the Amver System. 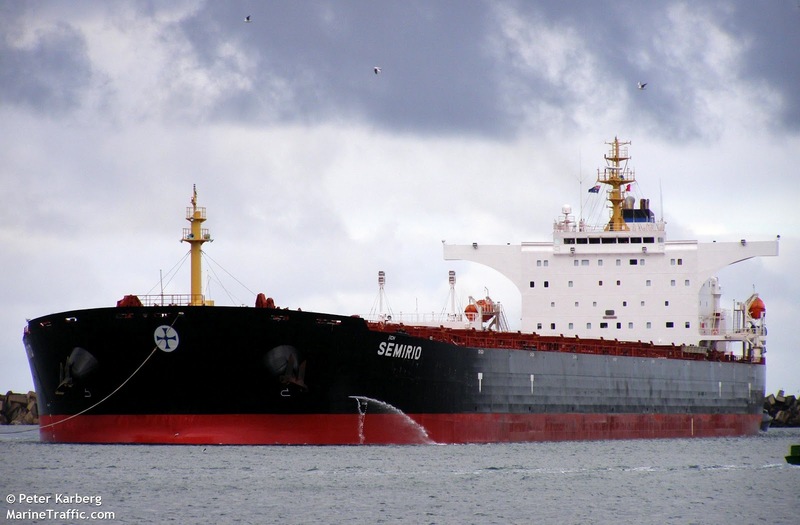 The Semirio is managed by Diana Shipping of Athens, Greece and has earned numerous Amver awards for participation. This year the Amver blog has the distinct pleasure of being nominated for a MilBloggie award in the Coast Guard category. If you want to show your support and help us win this honor, please vote here. 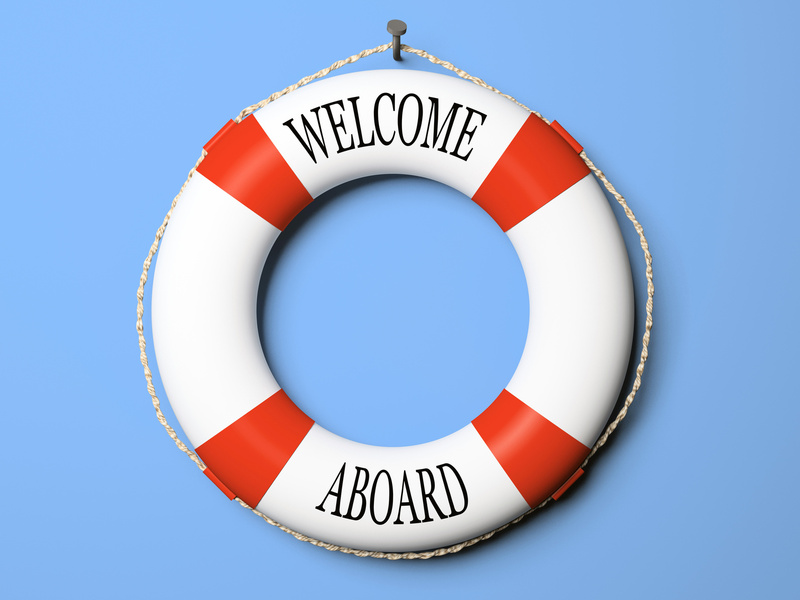 This past week another steady stream of ships enrolled in the Amver system, ensuring no call for help goes unanswered. Last week there was plenty of talk about search and rescue, on the heels of the Leadership in the Arctic conference at the U.S. Coast Guard Academy and the commemoration of Titanic sinking. Thankfully, Amver helps fill the SAR gap in the Arctic and beyond. In fact, there was another record number of ships available to save lives at sea. On April 15, 2012 there were 5,396 ships on the Amver plot, the highest number ever. Thank you. 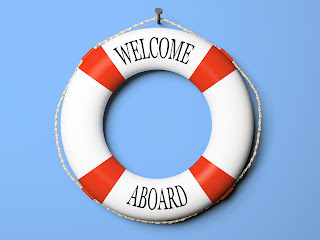 Now help us welcome the newest member of the Amver safety network. The Amver system was founded 54 years ago as a direct result of the Titanic disaster. On Sunday, April 15, 2012- 100 years after the Titanic went down in the Atlantic- another emergency was unfolding. 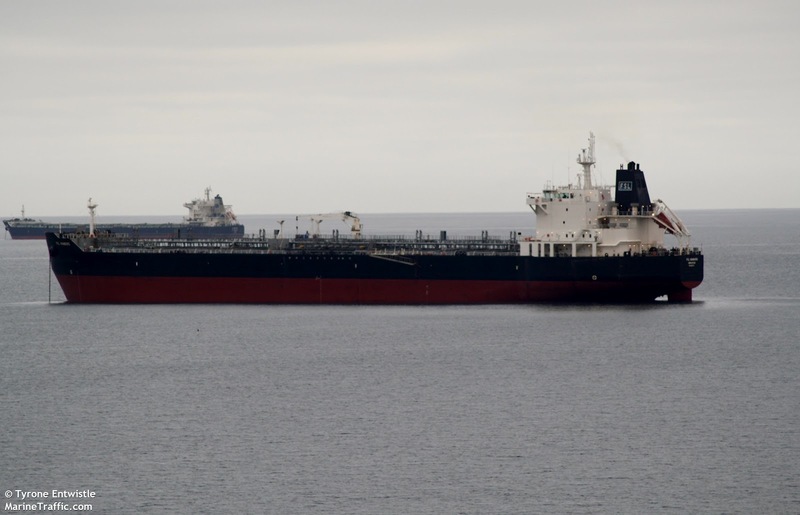 A sailboat with three French yachtsmen was in distress, and the Amver participating Russian tanker Moscow Sea was among the many resources steaming to help. The Spanish fishing vessel Generoso Tercero was identified by the aircrew during the aircraft's transit from St. John's, Newfoundland, and was diverted to rescue the sailors. All three sailors are safely aboard Generoso Tercero with no reported injuries. What does a rescue like this look like? Take a look at this footage captured by a U.S. Coast Guard C-130 rescue aircraft. You can learn more about Amver and how it works here. 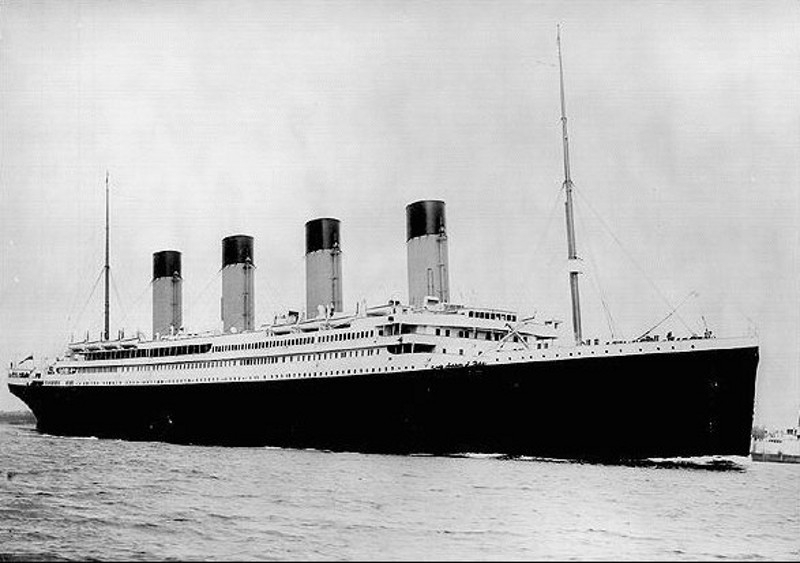 It's been 100 years since the tragic loss of the RMS Titanic and the death of 1, 514 people. As a result of Titanic's sinking the shipping community developed the Safety of Life at Sea Convention, the U.S. Coast Guard helped creat the International Ice Patrol, and the Amver system was developed. Instead of discussing what happened, how the crew reacted, the hubris of the ship builders or owners, or the myriad of other topics, we thought we would look back through the Amver archives. We wanted to know how many ships enrolled on April 15th through the years. We came up with 50 ships. We were able to look back 15 years. Here are the ships that enrolled in Amver on April 15th since 1996. 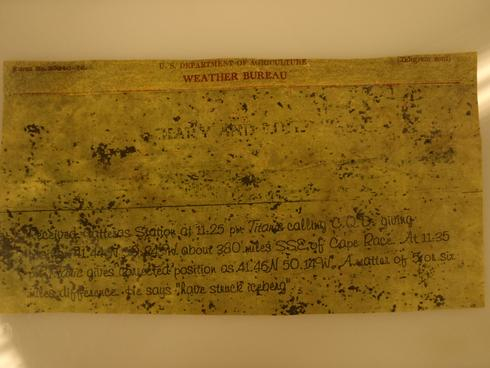 The Graveyard of the Atlantic Museum will display the actual SOS sent by Titanic and received by the Hatteras Weather Bureau Station on April 14, 1912. According to a story in USA Today, Richard Dailey, the agent who received the message, was told he was "junking up the lines" and sent home for the night. 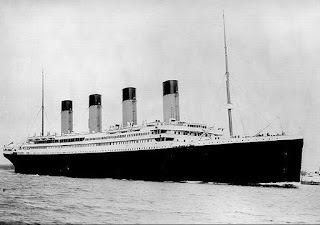 The RMS Titanic disaster was the genesis for the International Ice Patrol and the Amver search and rescue system. Today, vessels enrolled in the Amver system save a life every 33 hours. One hundred years after it sank on April 15, the RMS Titanic still rests on the seafloor, vulnerable to damage and salvage. An international agreement was signed by the US, U.K., Canada and France that recognizes the wreck site as a memorial and one of great archaeological, historical, and cultural importance. Learn more about NOAA and Titanic here. The RMS Titanic disaster helped spawn the U.S. Coast Guard International Ice Patrol and the Amver system. The U.S. Coast Guard and International Maritime Organization have also issued a statement about protecting the Titanic site. To activate closed captioning please click the "CC" button on the video. This has been a busy week with the Amver on plot average continuing to hit records levels. Over 5,300 ships are available to assist in search and rescue. That's an amazing demonstration of voluntary cooperation. We're thankful to all the shipping companies who agree to help in times of maritime emergencies. 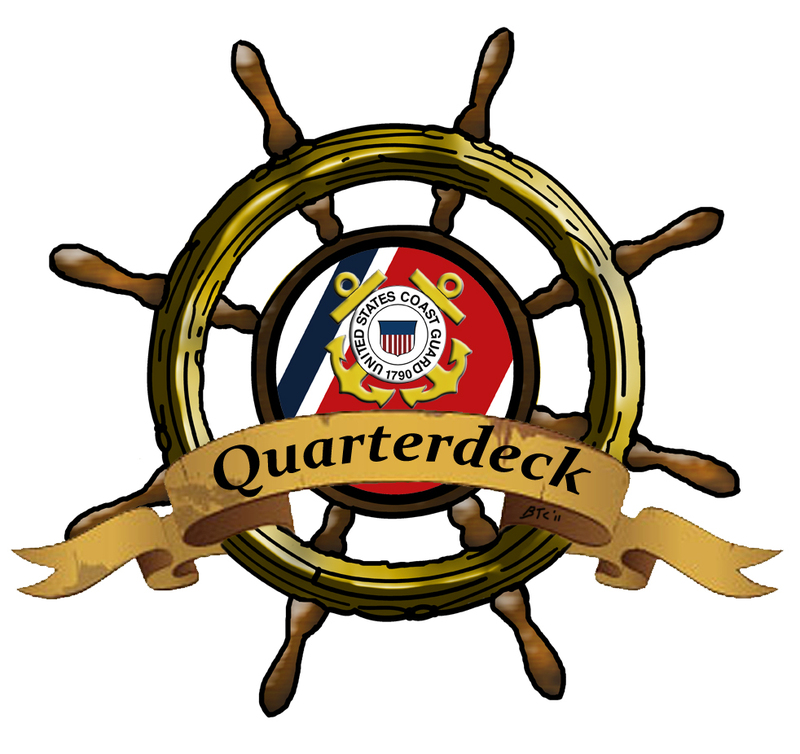 What ships enrolled in Amver in the past week? Take a look. Wanna avoid whales? There's an app for that! Originally posted on NOAA news. "Whale Alert represents an innovative collaboration to protect this critically endangered species," said David Whiley, NOAA's Stellwagen Bank National Sanctuary research coordinator and project lead. "Whale conservation is greater than any one organization and this project show how many organizations can unite for a good cause." A key feature of Whale Alert is a display linking near real-time acoustic buoys that listen for right whale calls to an iPad or iPhone on a ship's bridge showing the whale's presence to captains transiting the shipping lanes in and around Stellwagen Bank National Marine Sanctuary. "The idea that right whales are directly contributing to conservation through their own calls is pretty exciting," said Christopher Clark, whose team at the Bioacoustics Research Program at the Cornell Lab of Ornithology helped develop the acoustic detection and warning system. North Atlantic right whales, which live along North America's east coast from Nova Scotia to Florida, are one of the world's rarest animals and a species on the brink of extinction. Recent estimates put the population of North Atlantic right whales at approximately 350 to 550 animals. Collision with ships is the leading cause of right whale death. 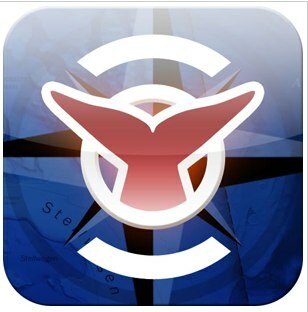 Download the Whale Alert app from the iTunes store. The Amver participating container ship OOCL Tianjin was diverted to assist with the rescue of several crew members from the racing yacht Clipper Venture on Saturday, March 31, 2012. In addition to the Amver vessel, the U.S. Coast Guard dropped supplies by rescue aircraft and sent the Cutter Bertholf which rescued 3 of the injured yachtsmen. The Hong Kong flagged container ship was 330 miles from the Clipper Venture but agreed to divert and assist. Coast Guard rescue authorities, recognizing the complexity of this rescue, had medical supplies dropped by aircraft and launched the Bertholf to minimize the possibility severely injured sailors would have to climb a pilot or embarkation ladder on the container ship. When it was certain the Bertholf would be able to reach the Clipper Venture, the Coast Guard released the OOCL Tianjin to continue on its voyage to California. Here is a video of the rescue taken from the Coast Guard Cutter Bertholf. 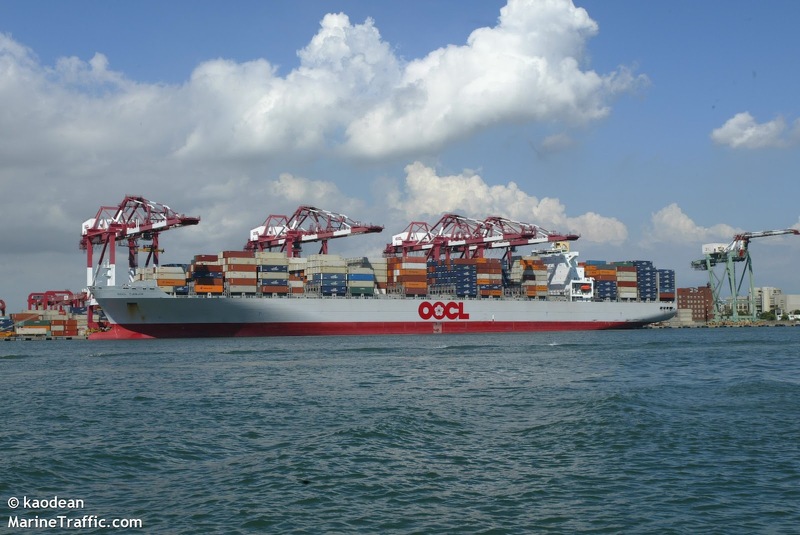 The OOCL Tianjin enrolled in Amver on April 5, 2005 and has earned Amver awards the last 12 years. 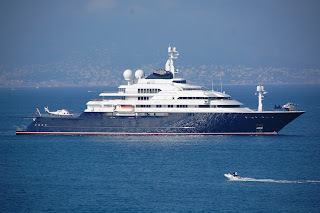 Microsoft co-founder Paul Allen's mega yacht Octopus, an Amver participant since 2011, assisted in the search for a missing aircraft in the Pacific. The Palau maritime patrol aircraft, with an American and two Palau police officers on board, disappeared while tracking a possible illegal Chinese fishing vessel. U.S. Coast Guard authorities in Guam first learned of the aircraft disappearance on April 1, 2012 when they were contacted by Palau maritime authorities who reported a Cessna, with three people on board, was low on fuel and experiencing troubles with its GPS. The aircraft crew stated they were lost, but had life jackets and an Emergency Position Indicating Radio Beacon (EPIRB). The last transmission from the aircraft was overheard by the Octopus and a policeman on the beach in Kokor. The 414 foot yacht is an ideal platform for search and rescue. According to the Octopus Wikipedia page it's equipped with two helicopters, seven tenders, and two submarines. In addition to the Octopus, the Coast Guard Cutter Jarvis was diverted to assist in the search. 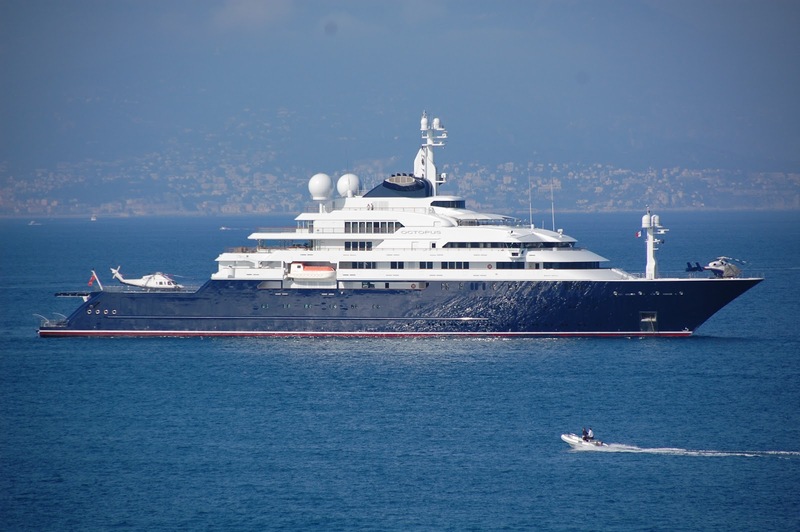 Mega yachts can easily assist in search and rescue cases and are encouraged to enroll in Amver. You can learn more about Amver here. Every day we're impressed with the number of vessels that demonstrate their commitment to safety at sea. Want an example? You don't need to look much further than the ships listed below. These crews have made a decision to actively participate in the world's only global search and rescue system by enrolling in Amver. They willingly put their lives on the line to ensure no call for help goes unanswered. Six yachtsmen were rescued in a bizarre search and rescue incident involving up to nine sailors in a possible human smuggling case off the coast of Canada on Tuesday, March 27, 2012. Through the combined efforts of an Amver tanker, a U.S. Coast Guard Falcon aircraft, and Canadian rescue aircraft and helicopters, 6 people were rescued from their disabled sailboat 240 miles off the coast of Cape Cod, Mass. and 90 miles from the Canadian coast. The total number of people on the sailboat is unclear. Three of the survivors were rescued by the Amver tanker FSL Hamburg, three more survivors were rescued by a Canadian rescue helicopter although one survivor on the helicopter died. Three others may have been lost at sea. One report suggest the survivors were trying to enter Canada illegally. The survivors, possibly Russian, Georgian, or Ukrainian, requested refugee status after their rescue. Canadian authorities are investigating the survivor's nationality and how they arrived off the coast. The FSL Hamburg, a Singapore flagged product tanker, was on a voyage from New York to Canada when it was requested by Canadian authorities to assist in the rescue. The FSL Hamburg, managed by United Product Tankers of Hamburg, Germany, enrolled in the Amver system on April 14, 2011. While the details of this case remain unclear, what is certain is that an Amver participant played a critical role in saving three lives. Bravo Zulu to the crew of the FSL Hamburg and the brave men and women of the Canadian rescue services.